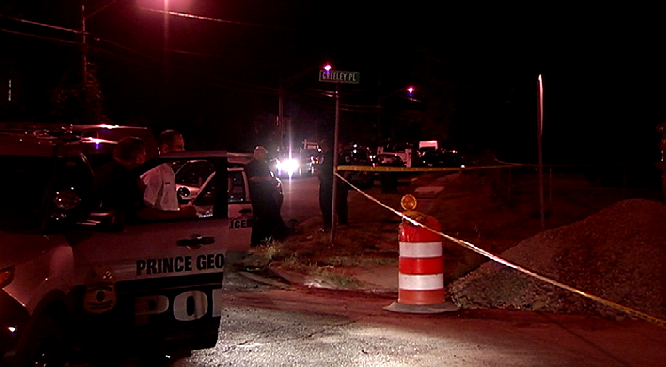 Prince George's County Police are investigating a double shooting that left one man dead and another man injured. Officers were called to the intersection of Greeley Place and Greeley Road in Kentland at 10:30 p.m. Sunday. When they arrived they found two men suffering from gunshot wounds. Both men were taken to an area hospital, where one of the men died from his injuries. The condition of the surviving victim is not known at this time. Investigators don't believe the shooting was a random act. No arrests have been made. The shooting remains under investigation.